The essential companion workbook to the New York Times bestselling The New Atkins for a New You and The New Atkins for a New You Cookbook, this step-by-step guide makes it easier than ever to follow the Atkins diet and live the low-carb lifestyle. 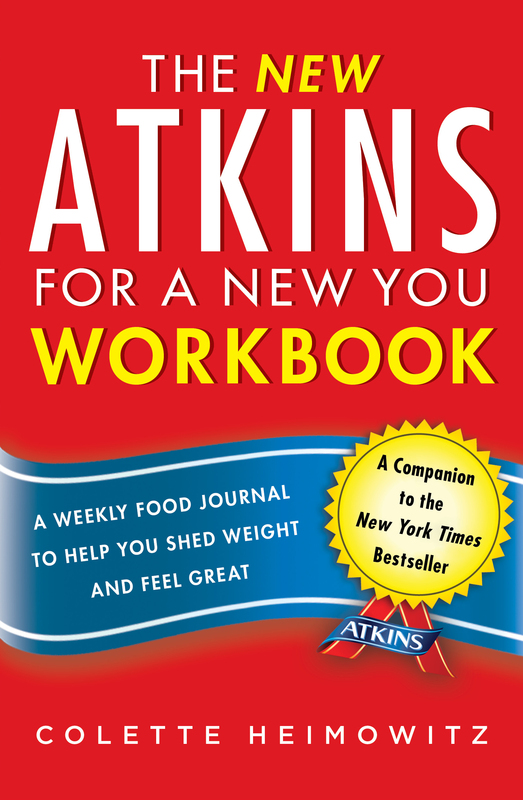 The New Atkins for a New You Workbook takes the bestselling diet one step further with techniques that help you put the plan into action. The book includes grocery shopping guides, food lists (and carb counts) for common Atkins-friendly foods, tools for visualizing your weight-loss journey, and record-keeping for sixteen weeks of progress and staying on track—everything you need to incorporate the Atkins diet into your busy life. Forget what you think you know about Atkins. The new Atkins Diet is all about personalization—including a range of delicious protein, healthy fats, and fresh vegetables—and this workbook is an essential part of the plan. It doesn’t belong in the kitchen or on a bookshelf: Take it with you for carb counting, motivational tips, and advice for shopping or eating on the go. The New Atkins for a New You Workbook offers tools for new and experienced dieters alike to achieve significant weight loss in an easy, practical, and measurable way.